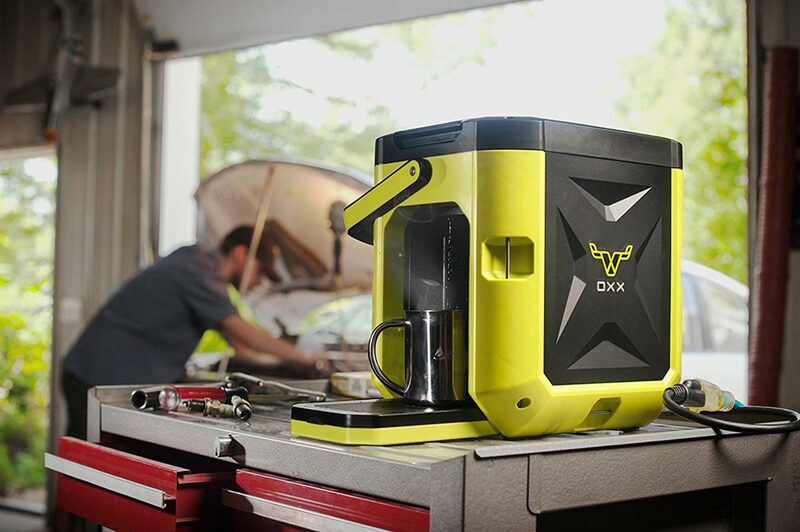 OXX Coffeeboxx - The World's Toughest Coffee Maker! Your morning coffee just got a whole lot more delicious with the OXX Coffeeboxx – the world’s toughest coffee maker. This multi-serve savant of mobile coffee makers is the ideal choice for coffee on the go, no matter where you’re going. Providing built-in filtering, a lengthy 3-foot retractable cord, spill proof water tank that offers up to 10-cups of coffee within a 2.5L container, makes this ‘convenience in a cup’ the perfect on-the-go must have. 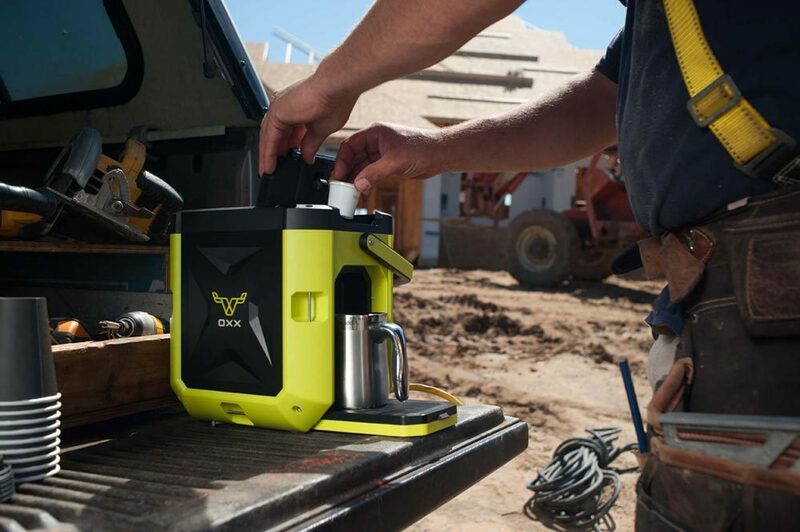 Crafted in a black and lime green exterior design, the OXX Coffeeboxx takes only 75 seconds to brew coffee, and also offers a separate hot water line for your tea, soup, oatmeal …or whatever you fancy. Backed by a crush proof chassis that boasts of a 1500lb load rating, Coffeeboxx is fueled by a 120V power chord and offers weather resistant functionality – with a sealed compartment to ensure a constant clean, hot water supply. Make coffee break a breeze and turn a stressful day into a relaxing, at-work retreat with just a push of the nozzle and a sip of your favourite coffee …good to go on demand.